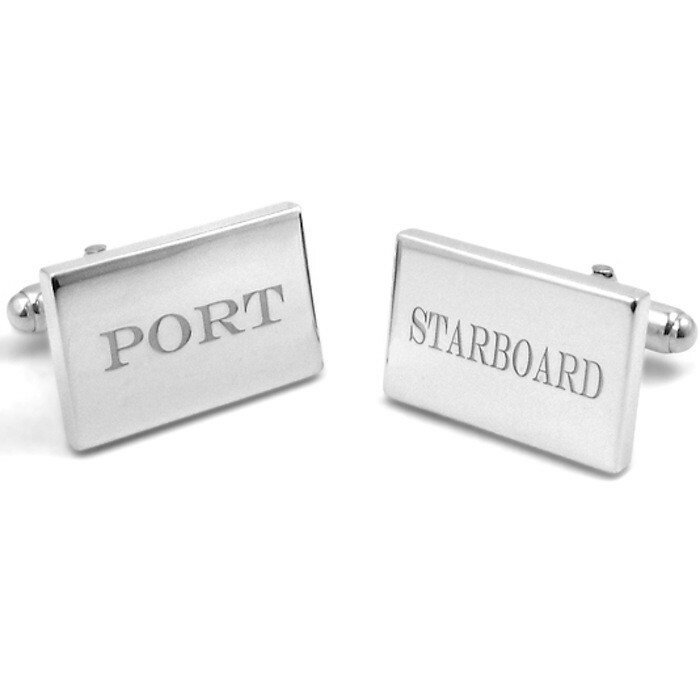 These port and starboard cufflinks are the perfect gift for the boater in your family! Laser engraving has made it possible to engrave almost anything on cufflinks for far less than hand-engraving would cost. Family crests, initials, important dates, symbols, patterns - anything is possible. The actual cost of the engraving depends on the complexity of the pattern. Send me an email at [email protected] and we can discuss the possibilities!